It’s another installment in our CryptoConvos series and this time we are bringing you something a little different. 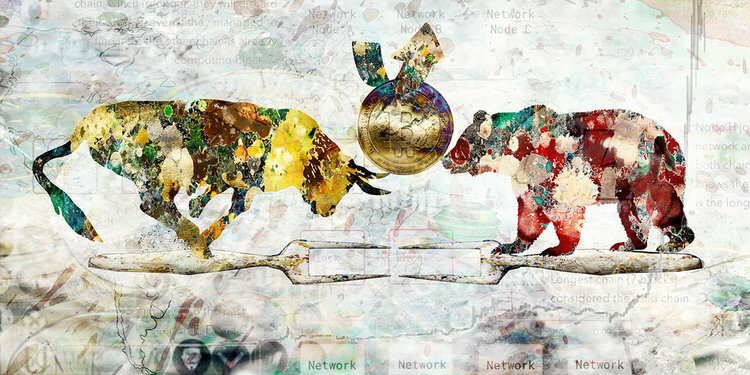 Finish born artist Vesa Kivinen has developed a form of mixed media art called Artevo (Ar Evolving) which involves body-painting, traditional painting, photography, and image manipulation, and he has brought his unique style to the world of cryptocurrency. Karim and Vesa discuss art and symbolism, why they are both inspired by the transformative power of technology, and explore the inspirations behind a number of Vesa’s pieces. Put your charts away, today CryptoBasic gets artsy. Ledger Wallet Website This is where you buy the hardware wallet that we're always talking about on the show - we all use a Ledger Nano S.